Benefit from the Medicinal Properties in Proven Manuka Honey and Bee Products from New Zealand. If you want to uplift your health or use honey for a medical purpose, you must first ensure that you have Manuka Honey from New Zealand. Science has shown that it contains a potent antibacterial effect not found in any other honeys. Only buy honey products that will do the job. Our certified active Manuka Honeys all contain the antibacterial properties and are suitable for internal and external use. We also stock the popular range of Medihoney wound healing products that contain Manuka honey. Do You Want Healthy, Vibrant Looking Skin without Harsh Chemicals? Manuka Honey skin care products are becoming more and more popular due to their potent antifungal, antibacterial and anti-inflammatory properties. You can find barrier creams, blemish creams, lotions, moisturizers and more on our honey skin and beauty products page. Whether you're looking for a particular product such as bee pollen granules, or looking to cure a specific problem such as joint pain - you can browse through our full range of bee products easily and quickly as it has been organized by category, use and brand on the menu bar to the left. We understand that you want more than just a sales pitch. Each product category page contains information to help you get informed before you buy. If you want more in-depth information please view our Manuka honey and bee product articles. 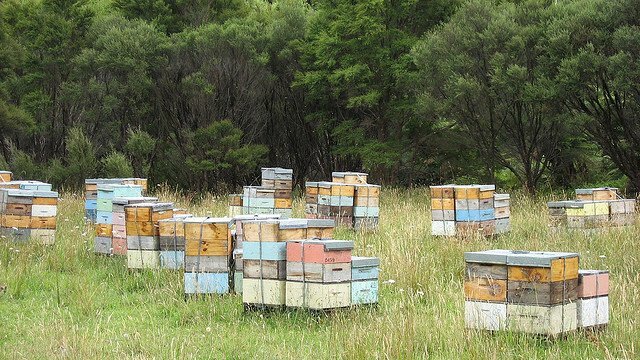 Quite simply, New Zealand has the most potent honey and bee products due to it's pristine enviromment. This is also backed up by an innovative industry striving to create better ways to improve your health. At Aliveplus Honey we are dedicated to sourcing you the best of these products and providing a reliable and trusted distribution service so that you can buy with complete peace of mind, worldwide.